This latest edition of iMech news is also issue four of the Industria Mechanika Newsletter! 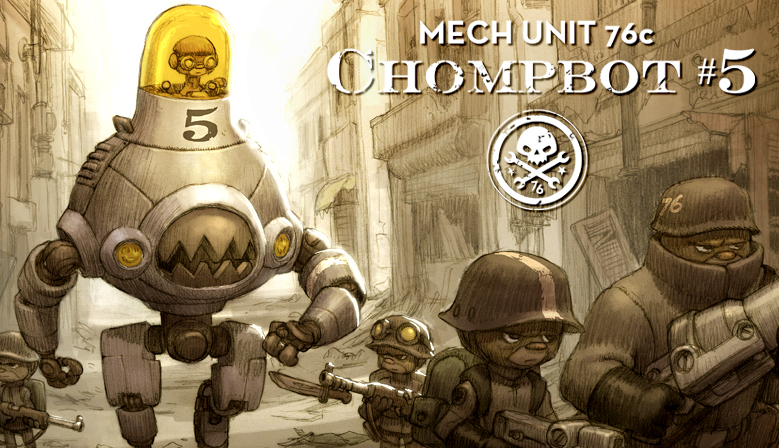 Remember, you can always subscribe/unsubscribe to the newsletter in your iMech shop control panel. You can also check out the latest editions of iMech News on our blog here. Seriously… for as well known as we are and as many Facebook Page Likes as we have, sales don’t always match up to that. 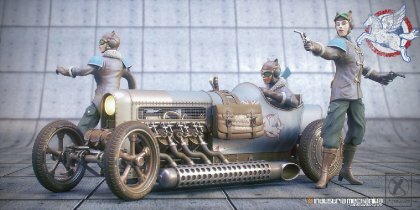 Help us to continue bringing your the best original model designs by preordering the upcoming items you want, sharing our posts, newsletters, etc with your friends and fellow modelers. Posting build-up (progress and finished) pics is not only helpful to us as far as showing off our products, but helpful to the community as a whole by bringing new modelers into the hobby and helping existing modelers to learn and discover new designs and techniques. The following kits are now available for restock preorders! The following newly announced kits will be available later in 2014 and early 2015! So much going on! SO MUCH!!!! It’s been a crazy couple of months with preparing for Wonderfest and failing to complete 2 out of 4 of the planned new releases in time for the show. BUT… these releases are still coming and soon. So let’s get to the good stuff…. 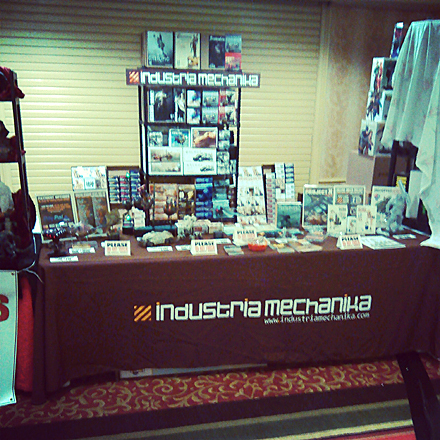 Wonderfest was a few days ago and it was a total blast… what I got to see of it anyway as most of my time was spent behind the table. But I got to see a lot of you that I met last year and meet a bunch of you for the first time. I’ve already purchased my table for next year (moving from #7 to #80) so will get to see everyone again. There was only one iMech product in the show which was pretty disappointing (discussing it with everyone here) so I’m looking into doing a Best iMech award if only in an unofficial fashion. Stay tuned for that! I didn’t make it to Jerseyfest last year for a variety of reasons, but this year it’s going to happen. I already booked the hotel and table so it’s on! The Best iMech award is going to happen at that show for sure so get your build-ups done and on the tables in the contest! I’m not sure what the award will be yet… at least a trophy… probably a gift cert for the shop too, but it should be fun regardless to see a bunch of our build-ups in one place! Hope to see you there! And to not leave our VERY large international contingent in the lurch, we’ll be doing an online contest soon as well. This will likely be an end of the year contest, something like a Best iMech build-up of 2014 and will happen in early January. Start your build-ups now, take GOOD photos of the entire process (because that’s awesome for everyone), and details will come. 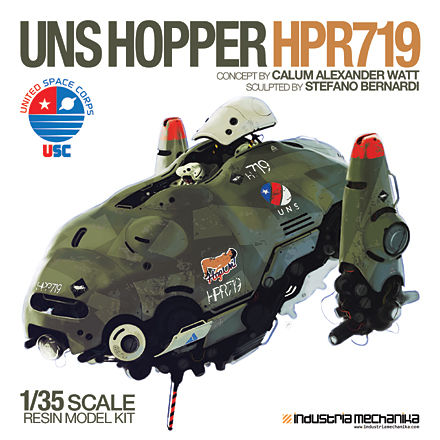 Preorders for the Hopper start in less than 12 hours from now! 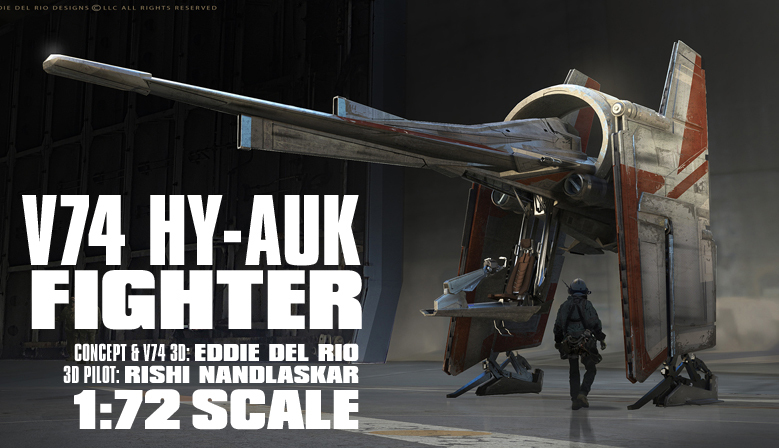 This large and very cool aircraft by Calum Watt and Stefano Bernardi will retail at $160 each + Shipping. Preorders will be eligible for a $10 discount. 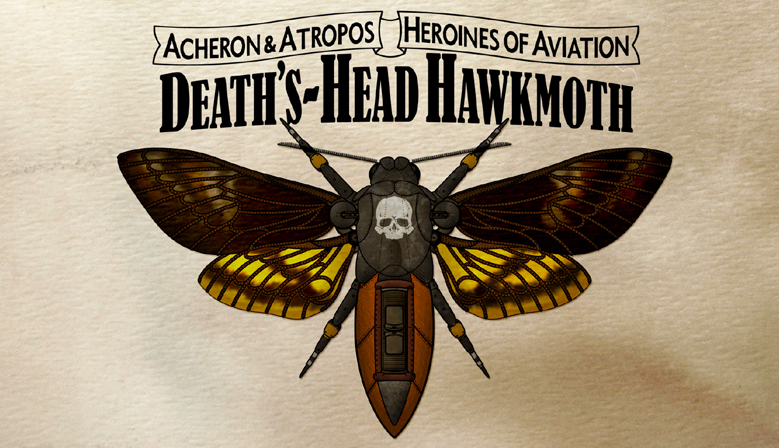 More on this in our Hopper special post tomorrow! Get on the list and prepare to preorder here. 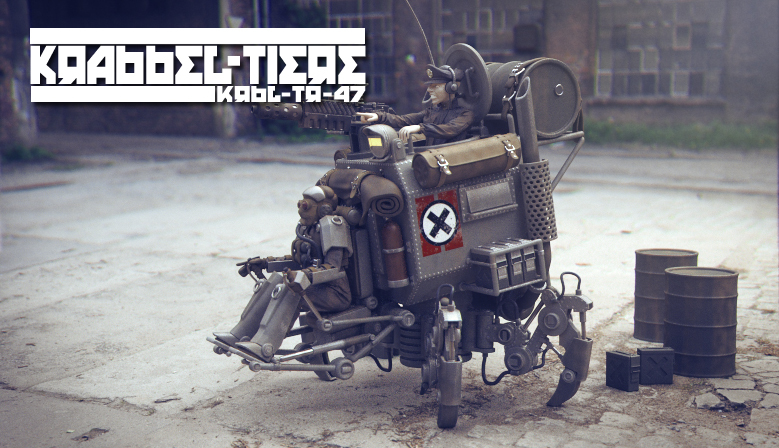 Our 1/35 scale Bella, by Pedram Karimfazli, is now available for orders. There are not too many left from this first batch of 50 so I put in an order for another batch which should be here in about 30 days. She’s only $15 for a limited time so get her here. 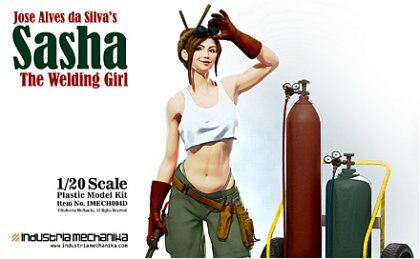 Our all-new 1/20 scale Sasha the Welding Girl is also now available! This time she’s in injection plastic and only $20 for a limited time so get yours here. We announced this at Wonderfest 2014 this past weekend and now we’re announcing it to the world! 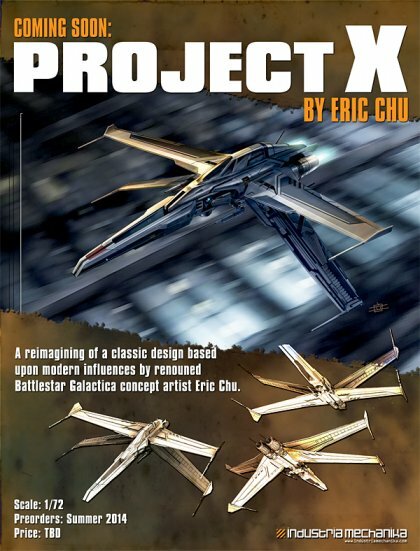 Eric Chu, the concept artist behind the new Battlestar Galactica designs is redesigning a classic spacecraft for us in this fun upcoming 1/72 scale release. More details to come, but get on the NOTIFY ME list here. Stay tuned for more upcoming product announcements as we’ve got at least 4 coming up in the next few months! 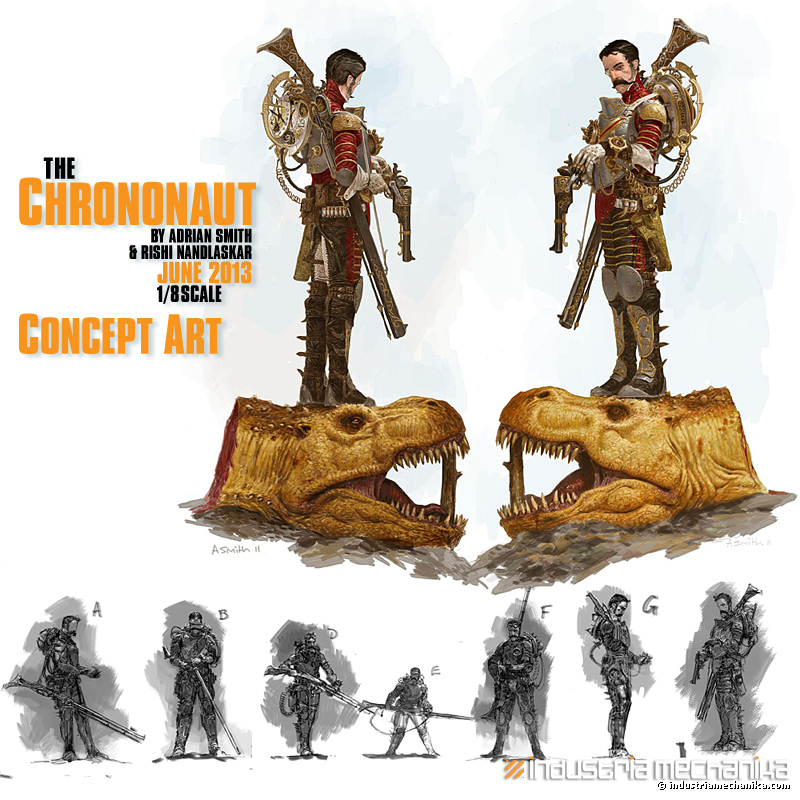 The Chronoaut is now available for preorders! 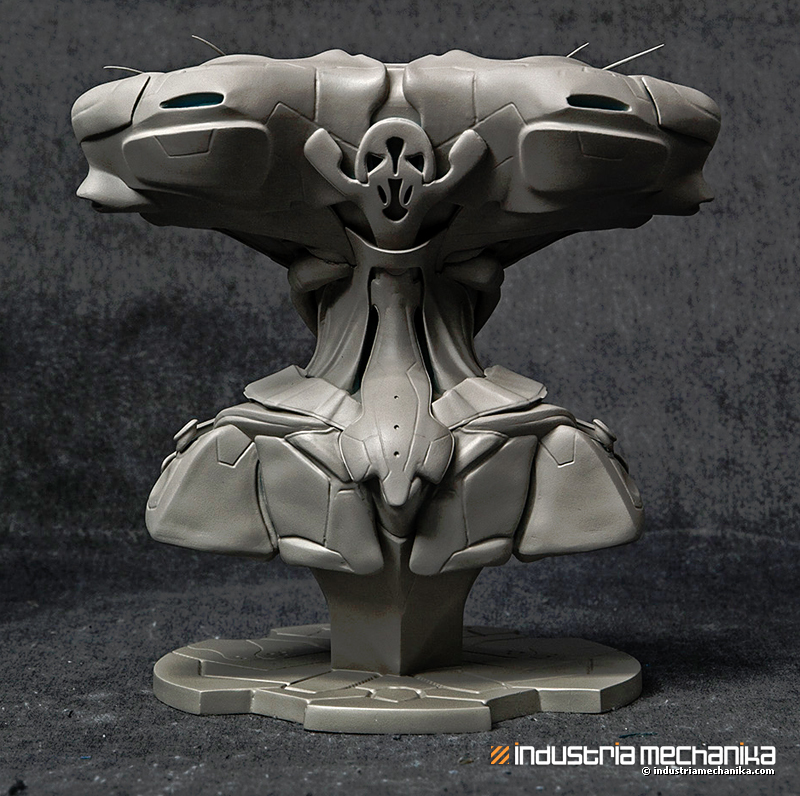 We decided to offer two versions, one with and one without the VERY LARGE T-Rex head trophy base. The head is HUGE!!!! 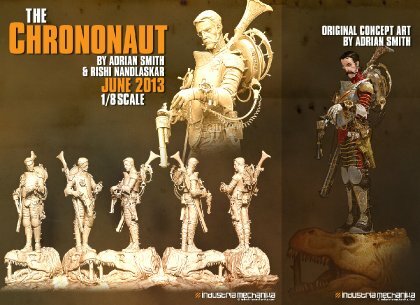 Approx 7-8″ long if not more) It uses more resin than the whole Chrononaut and costs almost as much to cast as the rest of the kit combined. There will be a limited quantity of T-Rex heads since we don’t expect them to sell as many with the costs, but I’ll put in the casting qty order in a few days after the preorder starts to make sure that everyone that wants one and preorders early has the chance to get it. 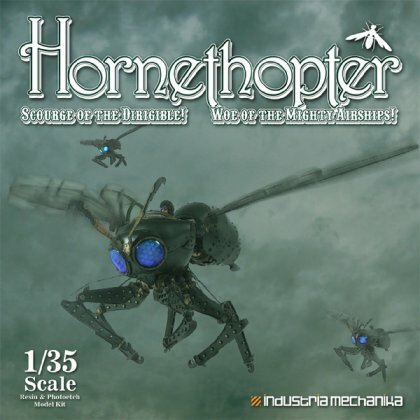 The follow-up to the wildly popular Hornethopter (which will be back in stock late summer 2013), the Dragonfly (working title), much like its real-world influence is built for speed. Instead of making the abdomen wider to awkwardly accommodate a pilot, I moved the seating to the rear of the thorax to give it a more streamlined look of an old race car/plane look and feel. The pilot is the same as that used in the Hornethopter and Aviators set in order to reduce production costs (new 3D pilot + 3D print = $$$) Christophe Desse (Red Star/Aviators sculptor) 3D sculpted the thorax based on plans I had sent him, and the rest is hand-sculpted by me (FichtenFoo). Since this was just about ready to go to the caster, I finished up some details and will be sending it to the caster as soon as I finish up the photoetch and instructional design. Look for the Dragonfly to be available by late August 2013. 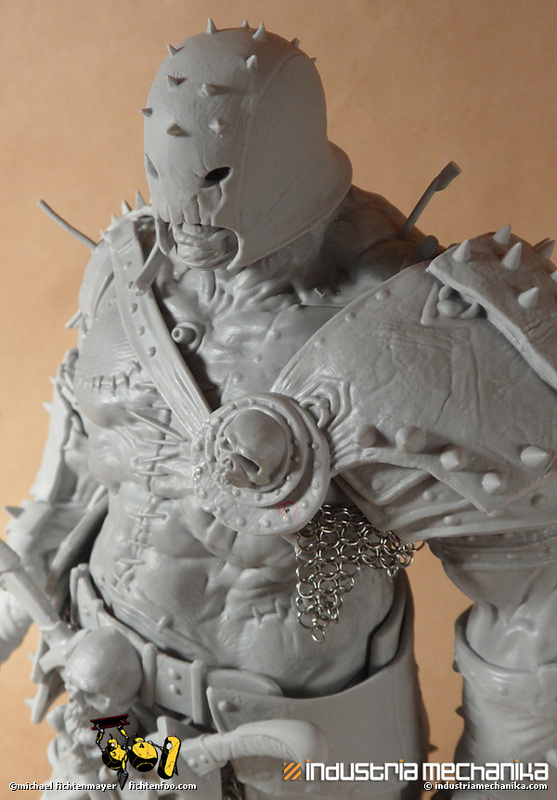 Estimated cost is $99, but that’s an estimate until the casting and photoetch costs come back. The wings will be about 2X the size of the Hornet’s wings area-wise with each wing being a little over 6 inches giving this craft a wingspan of about 14″/35cm. 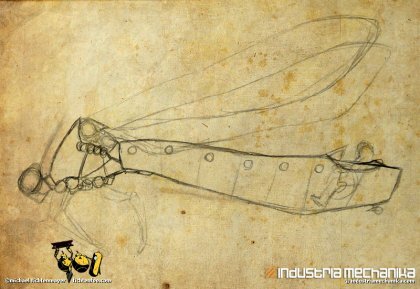 The Dragonfly will also have 15mm half-sphere glass eye lenses, rigging, and laser-cut wing plastic. A few weeks ago I wrote: “Currently on the site we have the Remora and Frankenstein up for preorder. Since the caster for these was also sidetracked by Wonderfest USA and playing catch-up, they’re slightly behind. Thanks for your patience and support with these!” And things haven’t gotten better… in fact they’ve gotten more behind. The issue is that both of these are using the same caster and both needed remolded. He’s just one guy and has had some health issues lately. I should have at least the Remoras on July 27, 2013 he says and Frankenstein soon after. I’m not exactly thrilled about delaying these any more than you are, but it unfortunately cannot be helped. Rest assured, they are coming. 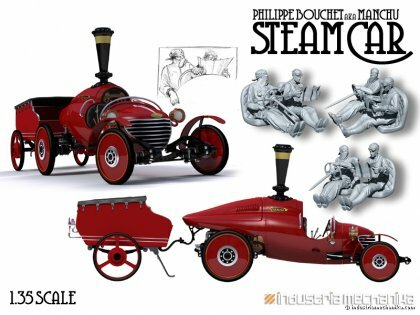 Other preorder items, such as the upcoming Steam Car and Dragonfly will be handled by a faster casting firm so will not suffer the same delays. Again, I’m terribly sorry for these delays. It’s not cool and not something I ever want to happen and have been striving to overcome since I started this company. Please be patient and they’ll be on their way as soon as possible. Far past time for another edition of iMech News! It’s been a crazy few months. April/May was the lead-up to Wonderfest USA so lots of prepping to do. 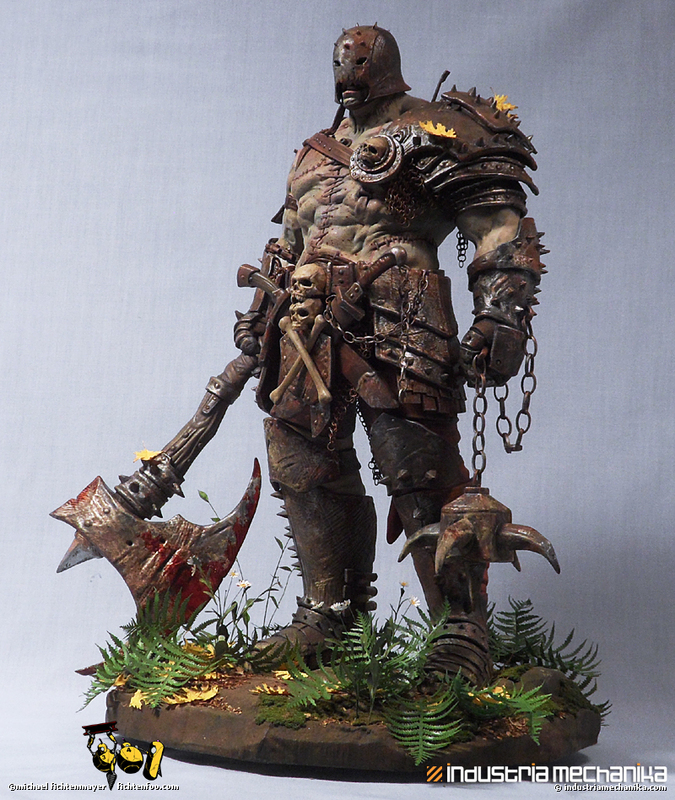 Then when I returned I have several large commission paint-jobs for a toy company. Now that those are out of the way however I’m trying to get back on track. 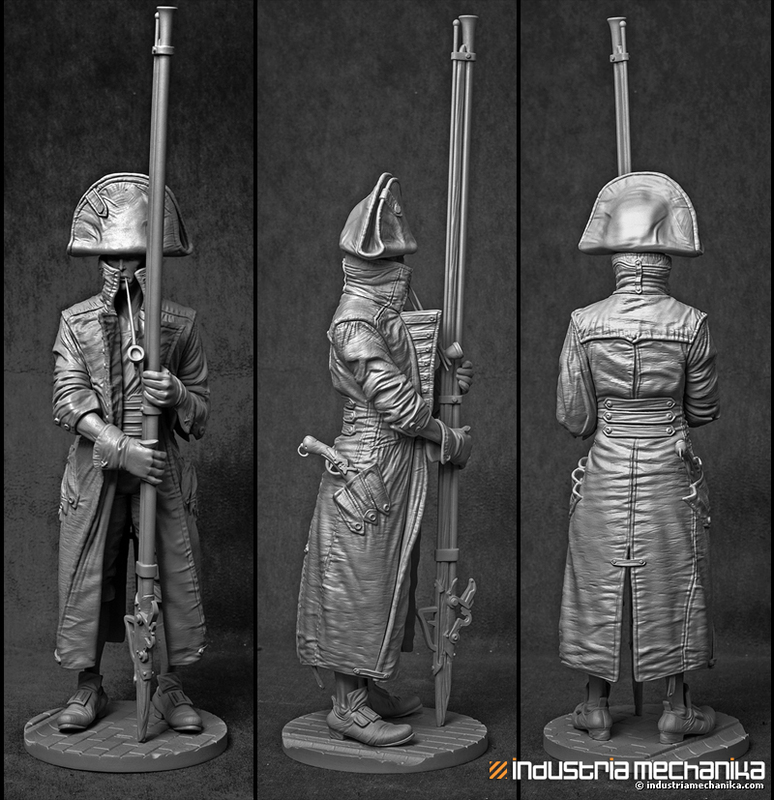 Currently on the site we have the Remora and Frankenstein up for preorder. Since the caster for these was also sidetracked by Wonderfest USA and playing catch-up, they’re slightly behind. Thanks for your patience and support with these! 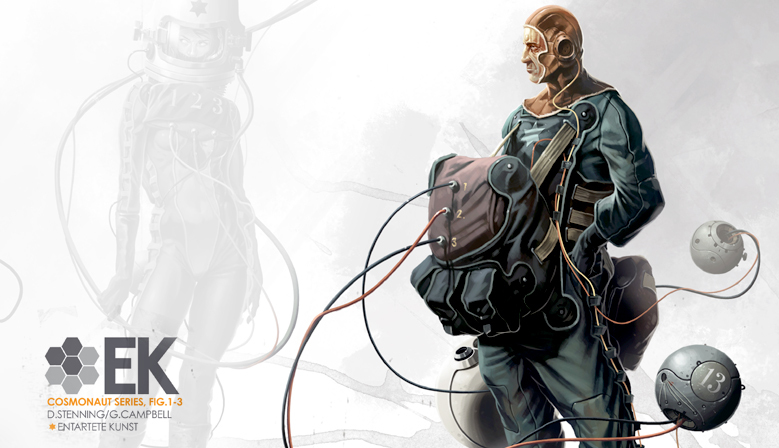 Remora: Estimated shipping date is between 7.6.2013-7.13-2013. The Remora needed all new molds so it’s taking a little longer than expected, however it’s better to wait for good casts than to rush it with old molds and be disappointed. Frankenstein: Again, Frankenstein needs all new molds so we’re looking at end of July as an estimated shipping date. Dystopic: Kits are on their way. Should be shipping out on 2 weeks. 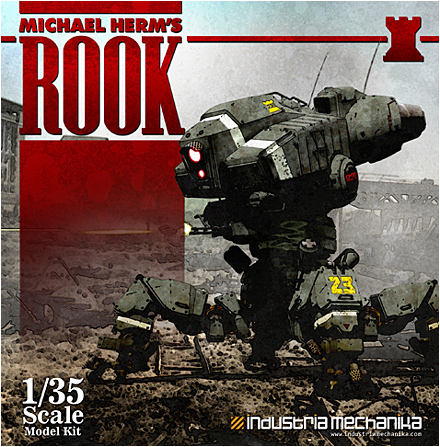 The Rook: This amazingly detailed Rook walking tank will be available for preorder today! Click here to preorder your copy. Estimated shipping date: 7.12.2013. 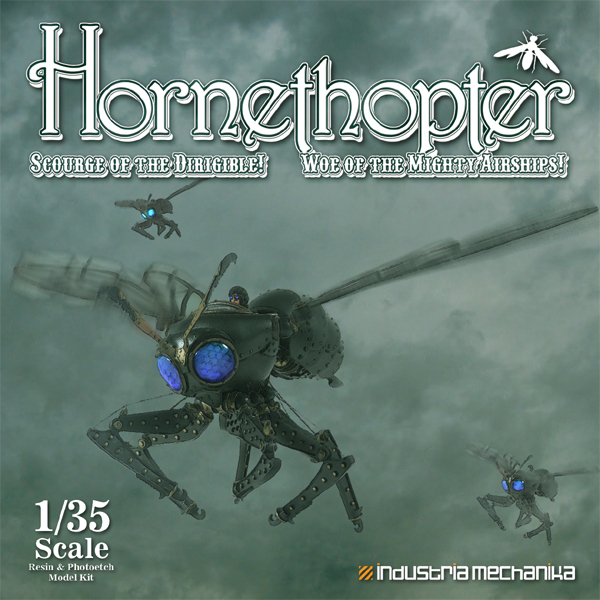 The Hornethopter: Right after Frankenstein, the Hornethopter will be back for a 5th edition! 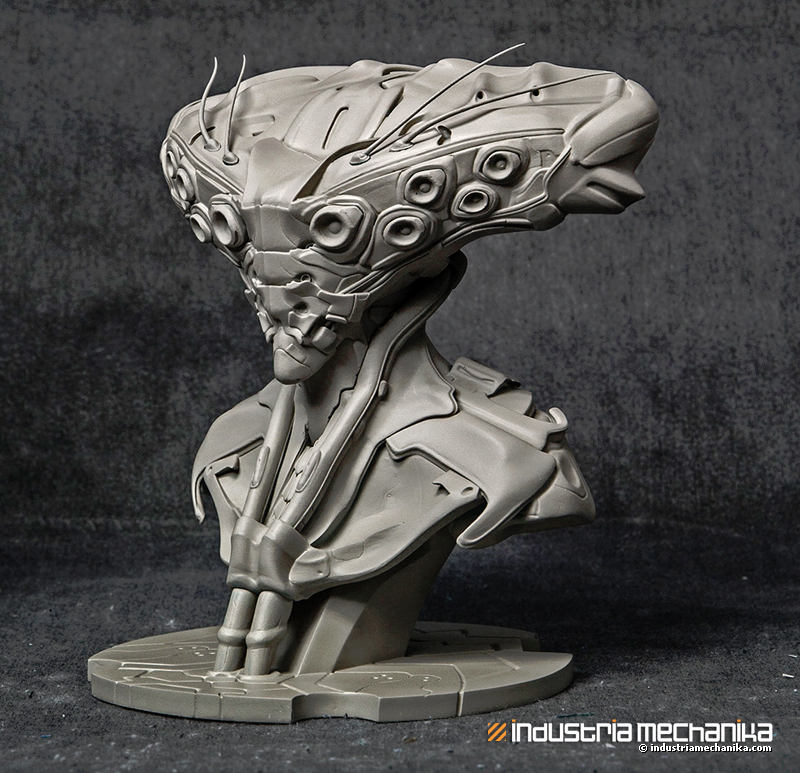 I have everything but the resin on-hand so when it’s closer to the delivery date I’ll start a preorder for these. FichtenFoo’s Fantastical Fish-Shaped Submersible: When I designed this Fish-Shaped Sub, I never thought I’d do 2 runs let alone this upcoming 7th edition of this steampunk inspired favorite! Expect the Fish to make a return sometime in August. Meanwhile we have the Long-Nose Fish-Shaped Submersible in-stock and ready to go! 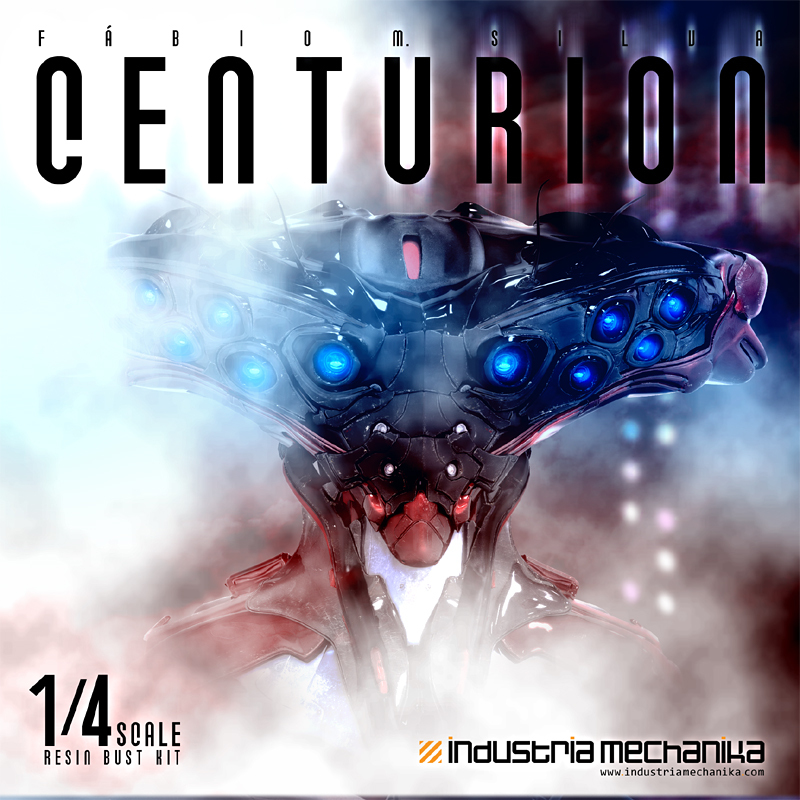 The Centurion and Frankenstein Preorders! Two kits going up for preorders today. 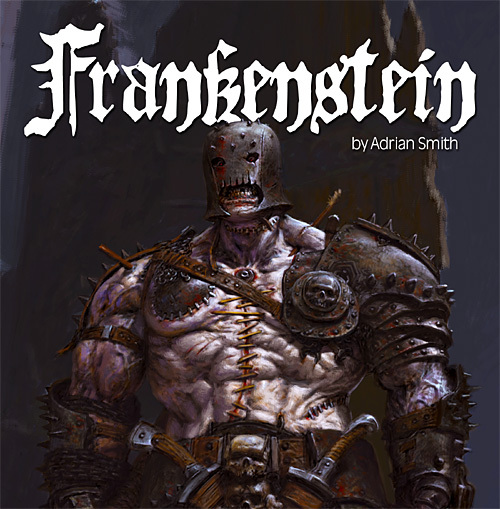 The next is the much requested 2nd edition of Adrian Smith’s Frankenstein. 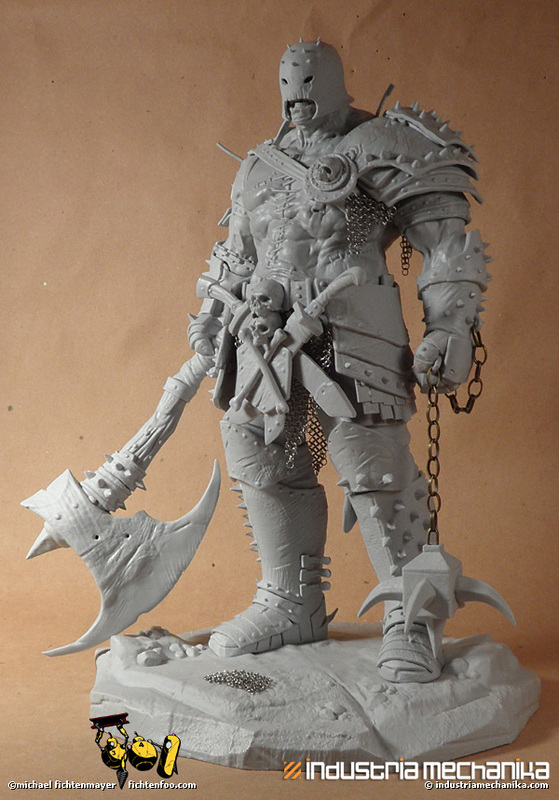 This kit has approx 50 resin parts, real chain and chain maille and is VERY large for 1/8 scale measuring about 12″/30cm tall. 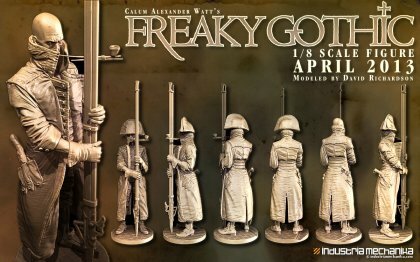 Freaky Gothic, designed by Calum Alexander Watt and sculpted by David Richardson is now available for preorder! This 1/8 scale figure kit contains 24 resin pieces, detailed instructions, and concept art. This visitor from another world, lost in time has a head-height (not including the hat) of approximately 24cm and would be a great piece for any Steampunk or Historical Miniatures fan with a taste for the unique. 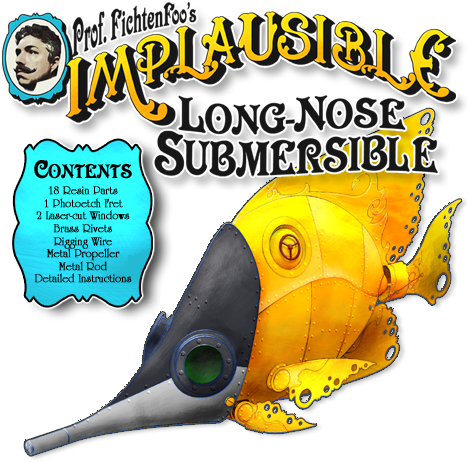 That’s right folks, it’s time for some oceanic fun with the all new Prof. FichtenFoo’s Implausible Fish-Shaped Submersible and Christophe Desse’s Submariners and Skipper! All three of these Steampunk-styled kits are in 1/35 scale. All three will be shipping in Early April at the latest. 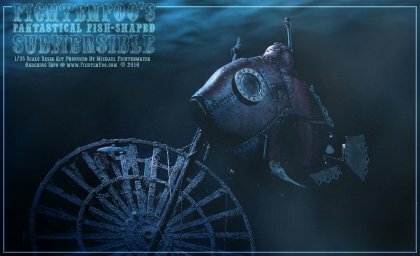 The Skipper is the long awaited pilot for the original Fantastical Fish-Shaped Submersible (which is in stock now @ $99) and comes with a new seat and control sticks. Will be great for ships, balloons, etc! Buy These Items Together and Save! 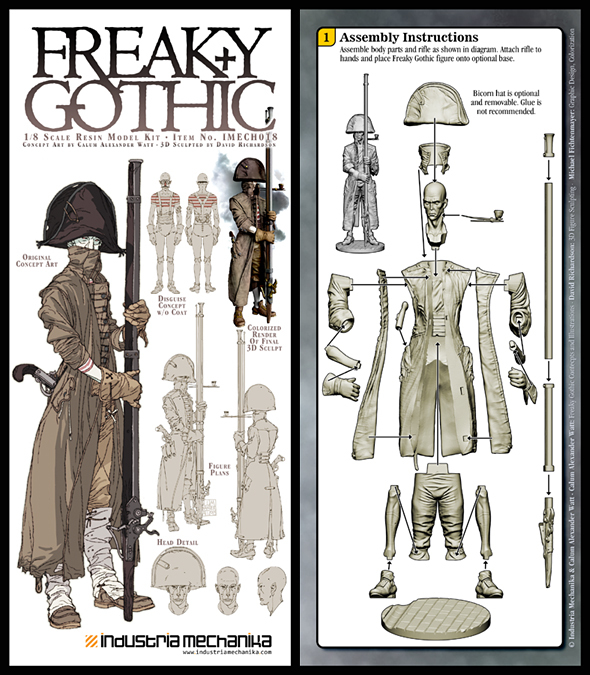 Originally slated as a 1/12 scale release, David Richardson added more detail to Freaky when we decided to up the size to 1/8 scale. Check out the old pics here compared to the new ones with added detail. It’s going to be a fantastic piece when it goes into production! Click here to get a notification when Freaky Gothic will be available for preorder. 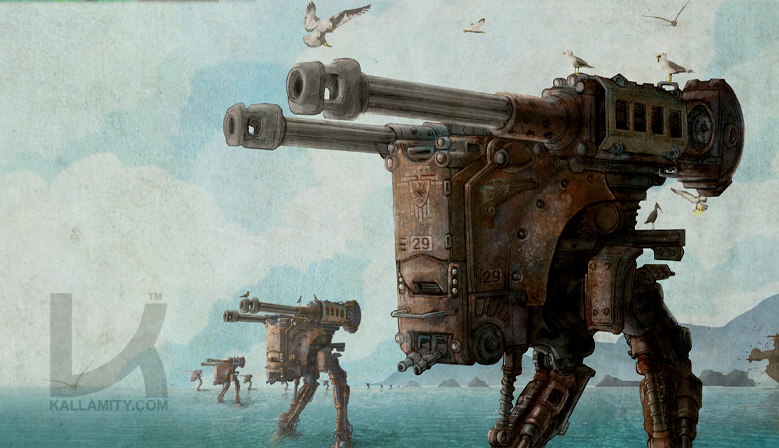 Back in 2011 when I first announced that I was starting Industria Mechanika, one of my first collaborator announcements was for Adrian Smith. We wanted to do something slightly different from his normal artwork… something that we thought you guys would love and I had an idea in my head I’d been toying with. I gave him a few rough ideas in text form and what he came back with was more amazing that I ever dreamed up. 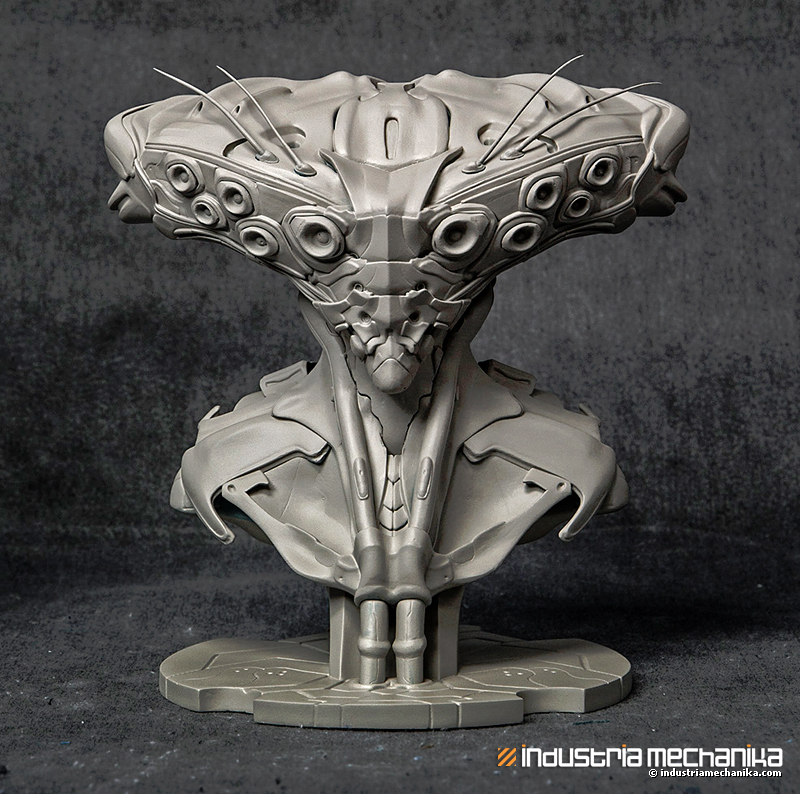 We initially teamed up with a clay sculptor, but the result was… not good, suffered many many delays, and we missed out on this being one of our first releases. 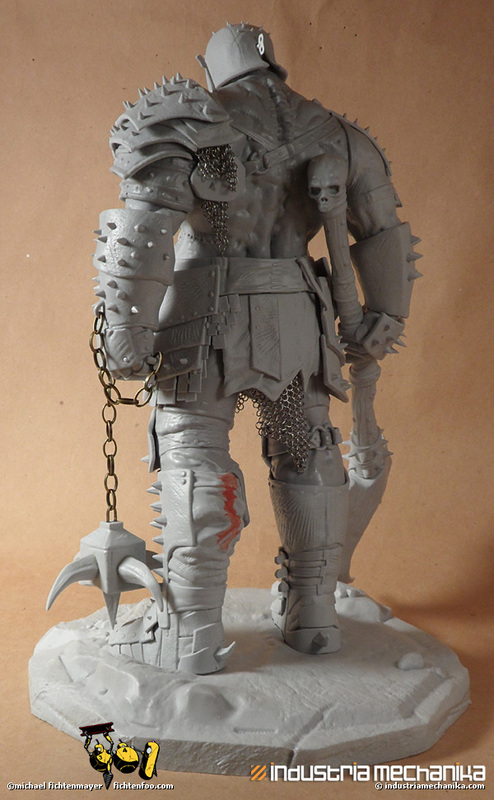 But after Adrian introduced me to the uber-talented 3D artist Rishi Nandlaskar, the modeler for our Frankenstein (email me if you want a potential 2nd Frankie edition!) 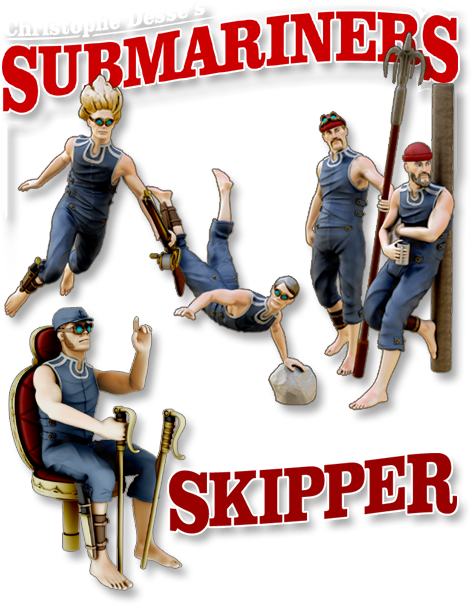 and Deckhands releases, we finally can bring this release to reality and to you! This steampunk inspired time-traveling hunter will be released as a 1/8 scale resin/multimedia kit early this summer. In fact if all goes well, it might even be done in time for Wonderfest 2013 in Louisville. 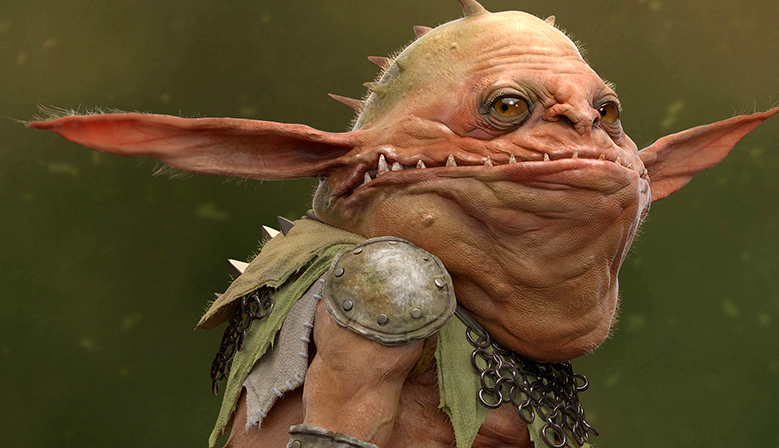 What you see above in 3D is about 95% complete. Rishi is adding and refining the textures and should be done with the 3D by this weekend. Below I’ve added some of the original concept sketches as well as the final concept art. The price is TBD of course and due to the large (and awesome!) 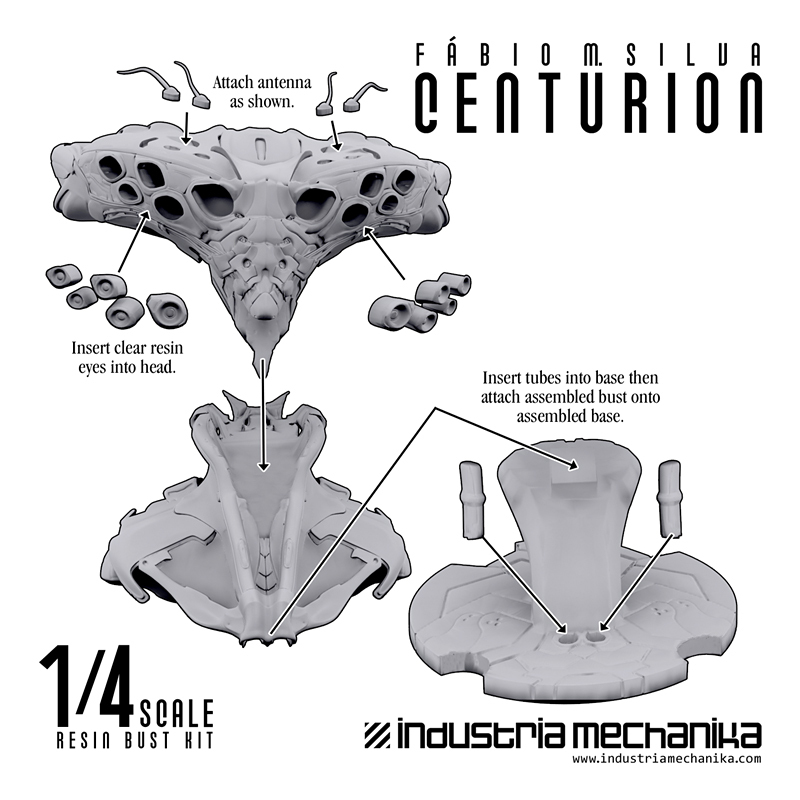 T-Rex head base will be a little more expensive than what I intend our 1/8 scale line-up to be as the base will make up almost 1/2 of the kit bulk in printing and casting costs. 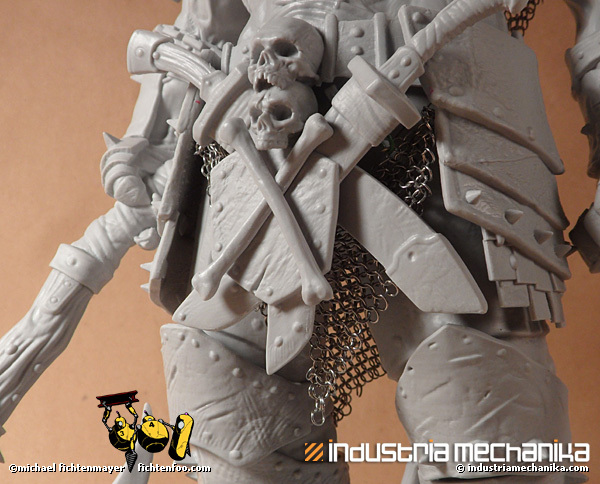 He’ll also have some photoetch, chain, wire, etc in the box to complete the kit. 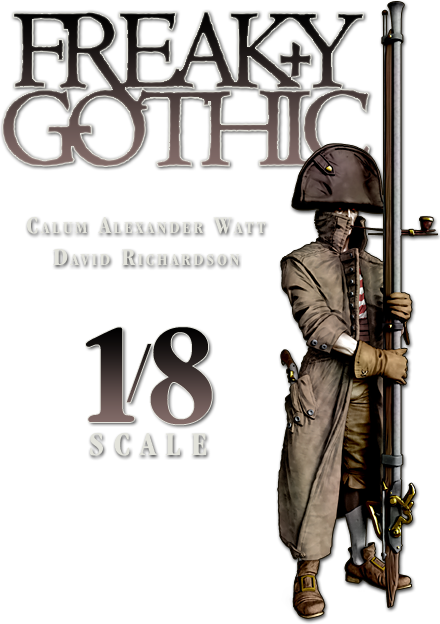 And of course he’ll look awesome alongside of our upcoming Freaky Gothic figure by Calum Watt/David Richardson! I’ll add him to the shop for notifications in a day or two.